Ottawa Roofing Company based in the Nation’s Capital, the Parliament Contracting team has over ten years experience in the roofing & siding industry. Thriving to provide only the best materials and labour at affordable prices. Let us help protect your investment and call us today for your FREE no-obligation estimate. Our expert team is available to answer all your questions Monday to Friday from 7am to 7pm and Saturday and Sunday from 9am to 5pm. Our emergency repair services are available to you 24 hours a day, 7 days a week, 365 days a year. As a local business, we understand that customer service is the key to any successful enterprise. Our professional and courteous 1Clean Air staff are second to none when it comes to customer service. 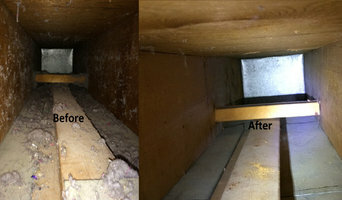 1Clean Air has been cleaning the ducts and carpets at many Ottawa Valley homes for years and will be for years to come. At Valley Air, we are proud to have the correct equipment, the experience, and the ethical drive that pushes us to ensure every job is done correctly and professionally. L’Agence marketing quebec suggère également quelques bonnes façons pour votre entreprise d’attirer la population depuis les sites de réseautage sociales. Parce que des sites de réseaux sociaux, vous pouvez interagir avec les peuples et les communautés informer avec vos nouveaux produits et offres spéciales. Avec cette stratégie, la jeune génération sera plus impressionner par démographiques spécifiques. Cependant, ils ont plus conscience des tactiques de marketing bien visibles, afin que la technique de marketing viral fonctionne mieux avec eux. La technique suivante pour augmenter votre vente en vidéo marketing sur YouTube, ce qui va faire beaucoup d’argent. Jetez un coup d’oeil à ce site web <a rel="nofollow" target="_blank" href="http://www.webbec.net/">http://www.webbec.net/</a> pour plus d’informations sur marketing quebec. Vestal Bath was founded in 2012 with the goal to establish a direct to consumer model in the bathroom furniture market. This means we cut out the middle man, and are able to pass the cost savings down to our clientele, while still maintaining extraordinary product quality. We offer a wide range of bathroom vanities to meet your home renovation and design requirements. Visit our showroom in the central Ottawa area and explore our selection of wall mounted bathroom vanities, standalone vanities, tubs, vessel sinks, faucets and more! Believe it or not we understand that mortgage arrears can happen to anyone. They happen for a lot of different reasons. Certain causes like job loss, unexpected illness, and others can take a huge financial toll on anyone. And this is where a Mortgage Broker in Ottawa can be of service. We listen to what you have to say and we understand your needs. We have seen good paying clients who undergo stressful situations and still get back up on their feet eventually. And that is why we are willing to assist you in paying off your mortgage. We can do that via different ways from getting a second mortgage to increasing your loan amount. Established in Gatineau since 1992, Prop-Air is a general contractor that specializes in ventilation system cleanings and asbestos, lead, and mould removal. We’re an industry leader in the Outaouais when it comes to air quality and have acquired unparalleled air-duct cleaning expertise over the years. Whether you’re from the residential, commercial, government, or institutional sector, you’ll have access to our custom work and specialized skills not only in the Outaouais, but also anywhere else in Canada and North America. Prop-Air aims to raise awareness within the Gatineau-Ottawa community on how important clean air is for our health, which is why we clean air ducts and decontaminate buildings for a fair price to allow your family or business to breathe clean air. 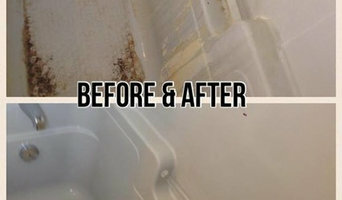 1 Clean Air Ottawa is a residential and commercial company that services air ducts and carpet cleaning, upholstery, dryer vent, air conditioning unit cleaning and 24-hour emergency water damage restorations. We promise you quality and offer you state-of-the-art cleaning equipment and 24/7 responsive time to your door step. We have offices in Ottawa and in Gatineau and we service the surrounding areas such as, Nepean, Gloucester, Kanata, Orleans, South Keys, Barrhaven & Stittsville. Comment bien choisir une société de ménage, un homme ou une femme de ménage sur Ottawa, ON ? Pourquoi engager un professionnel de l'enlèvement des encombrants et du débarras de maison sur Ottawa, ON ? Pour trouver une société de débarras de maison ou une femme de ménage sur Ottawa, ON, affinez votre recherche dans la section « Trouver un pro » par ville ou par nombre d'avis. Nous vous invitons à parcourir les portfolios des sociétés de ménage ou d'enlèvement des encombrants et à contacter un professionnel de votre région.